With Memorial Day quickly approaching, we like to think that honoring and remembering is on everyone’s mind, when in truth, it’s usually more about grilling with friends and family, and of course, shopping for those Memorial Day deals. Memorial Day weekend may be one of the biggest shopping weekends of the year, but there is some do’s and don’t’s that go along with what to buy, according to Offers.com‘s savings specialists. Last Memorial Day, there were discounts of up to 60 percent off of brands like Sealy, Serta, and Tempur-pedic. Sears, Macy’s, and Walmart had some of the best mattress deals. Memorial day, for one reason or another, is known for having great refrigerator deals. Home Depot, Sears, and Lowes have discounts of up to 40 percent off on brands like Kenmore, Frigidaire, and Samsung. Every year, major retailers run site-wide sales for home goods. There’s been predictions of up to 50 percent off on small appliances, kitchenware, bed and bath products, and more for this year’s holiday. Some deals on summer clothing during Memorial Day weekend may seem too good to pass up, but prices on summer stiles decrease most significantly in August and September. The best savings on TVs and technology don’t form until late fall, more specifically, during Black Friday and Cyber Monday. Memorial Day sales offer 20 percent to 50 percent off outdoor items, but end of summer sales in August and September give discounts of up to 90 percent. The beginning of summer, when temperatures start to rise, is the time that demand for pools is the highest, you’re likely to get the best deals for pool installation in the winter. Whether you listen to the advice or not is up to you, just remember Memorial Day weekend isn’t all about shopping. Our team has quite of, well, an array of things we plan on doing to celebrate the weekend holiday. So whether you’re spending the weekend drinking beer and doing yard-work or driving your family around in your new bus, we hope your Memorial Day weekend is one for the books. 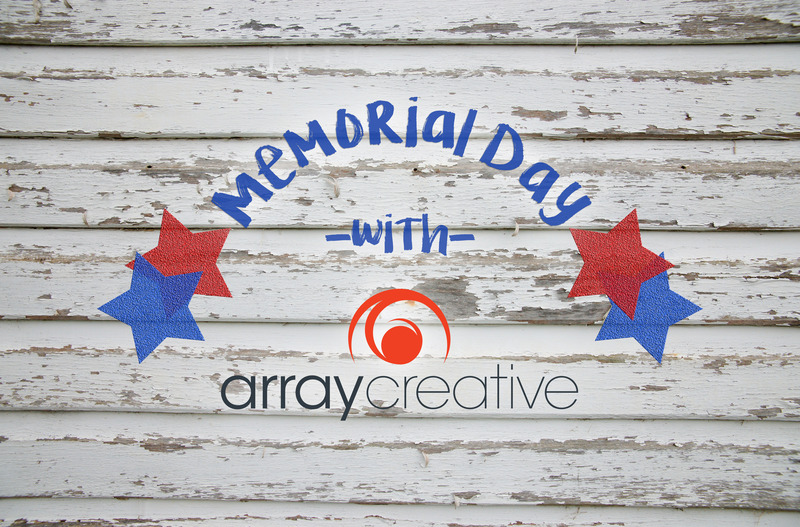 Happy Memorial Day from us at Array!